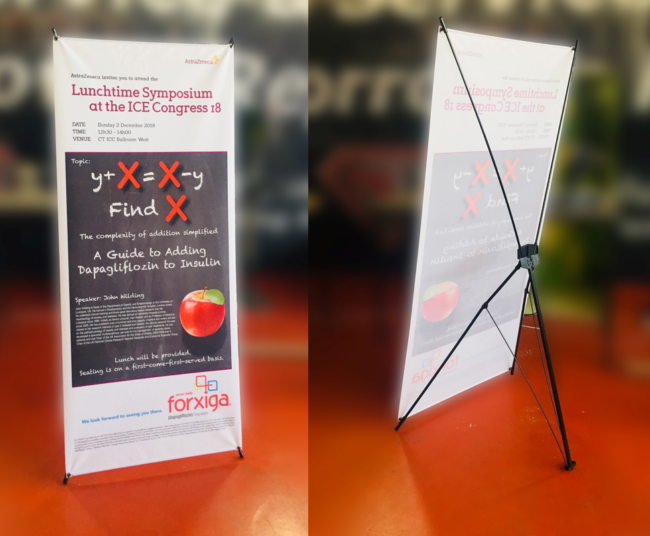 The X-Banner is an economical banner that has an X shaped framing system. It is lightweight, comes in a carry bag and is better for indoor use. The X-Banner is a popular option for a banner that needs to be transported due to its lighter weight.